a high degree of environment controlling and security. My Home can offer different light scenarios throughout the day, both to create special atmospheres, tailored to the activities to be carried out, and to ensure a physiologically appropriate vision at all times. Only one touch, My Home allows you to drive curtains, rolling shutters, electrical blinds, The ideal temperature, the perfect level of humidity, the possibility to air your home, to enjoy some shade when the sunlight is dazzling, to entrust your home to someone that also protects it from wind, rain or any other risk: this is real comfort. My Home technology, combined with the innovative offer of My Home Web house automation services, allows you to control and manage your home from a remote location, using your fixed or mobile phone or a standard Internet connection. 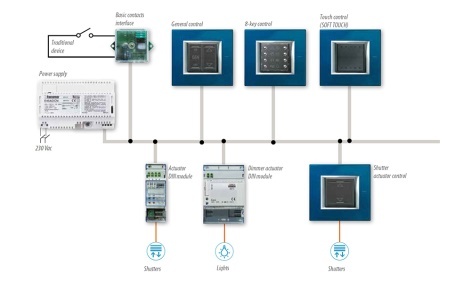 Depending on your needs, you can choose the most appropriate control devices (telephone actuator, telephone communicator, Web Server) and the most suitable connection (telephone line, ADSL, GSM), selecting the functions you want among the many available. 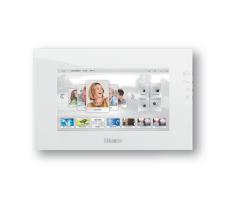 My Home is designed to ensure the global protection of indoor and outdoor areas, allowing you to manage the entire system in a flexible way both when you are at home and where you are away. When you go out, My Home’s intelligence steps in, to remind absent-minded people that the system has not been activated or that a window is open. Thanks to remote management, through My Home Web house automation services you can also connect to the Internet to check the alarm status or to display the pictures of the CCTV cameras to visually check the situation from a remote location. A well-structured and flexible notification system, enables you to be always promptly informed of any problem or danger. Safety management also includes the entire management of electricity and gas-related accidents, and the control of the water supply system. For your serenity and to ensure that anyone who may be in difficulty is promptly helped, the personal emergency response system medal has been created, capable of sending calls for help to pre-set numbers, using the burglar alarm system telephone communicator. 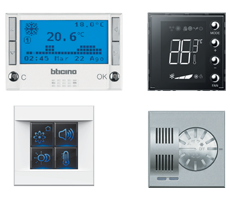 Intelligent control and the opportunity to put in place a rational energy management of the systems and appliances ensure considerable electricity, as well as time, savings. The best example is that of the air conditioning system:by limiting its operation to heat or air-condition only inhabited rooms, remarkable reductions in electricity bills are immediately ensured. An extremely useful application is the household appliances Power Management: large appliances concentrating high electricity consumption in specific phases of their programmes can be kept on without risking causing the general switch to trip. My Home can manage household appliances through pre-set operation priorities, thus preventing the inconveniences of an untimely tripping of the general switch due to an overload (stop black-out). If, instead, an electricity loss takes place when nobody is home, due to a sudden surge in the network or to a lightning resulting in the activation of the central unit general switch protection, you can be immediately advised by phone and automatically and remotely reset the device by entering a specific code on your mobile phone keypad. Lighting adjustment control of curtains and shades at single, or in group. Scenario management based on events or time conditions. Manage and program the whole system, display the temperatures for each zone. 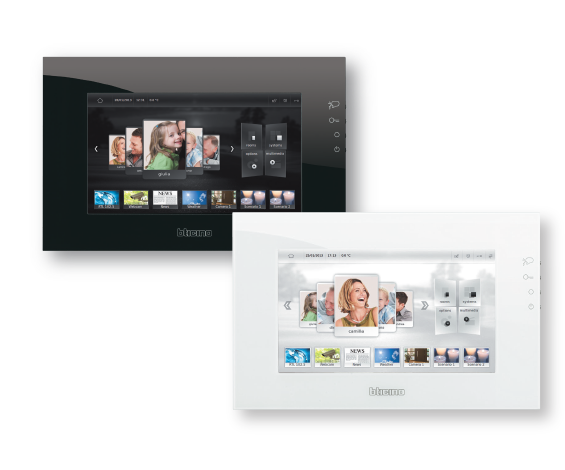 MyHome Automation system allows managing simultaneously and in an integrated way, functions which were previously carried out by separate and complex electrical systems.